Kowhai (Sophora): growing, planting, caring. Did you know? One Sophora fossil seed pod from the middle Eocene epoch has been described from the Miller clay pit in Henry County, Tennessee, United States. The genus includes about 50 species of trees, shrubs and perennials from warm regions. Easily recognizable by its wavy pods clearly showing the shape of the seeds and typical pea-like yellow, lilac or bluish flowers. 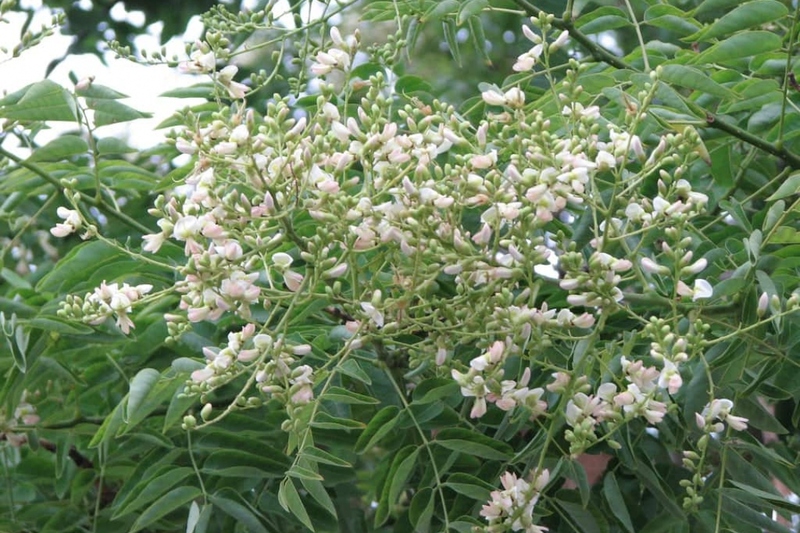 The Japanese sophora is one of the few tree forms of the genus to live in a temperate zone. Depending on the species, it can withstand temperatures down to -8 ° C - for instance Sophora prostrata, sometimes sold under the name Little Baby - or even less: a well-rooted S. japonica will handle up to -15 ° C, see even less, without a problem.